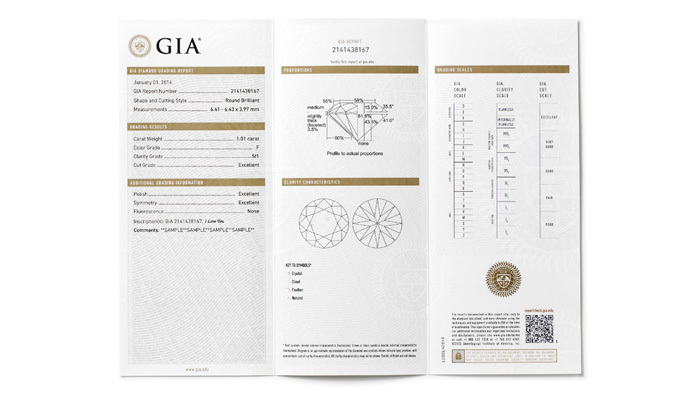 For more than 50 years, fine jewelers everywhere have considered the GIA Diamond Grading Report the premier credential of a diamond’s authenticity and quality. The GIA laboratory issues diamond grading reports for loose, natural diamonds in the D-to-Z color range that weigh 0.15 carats or more. 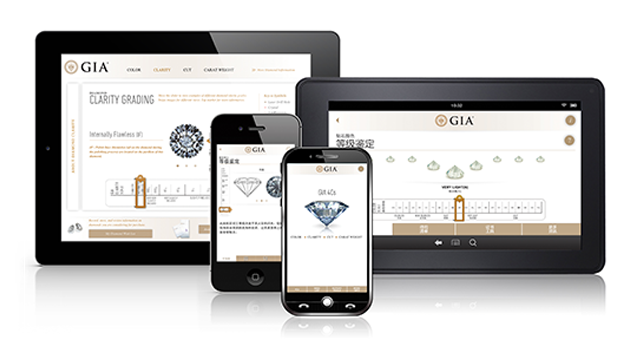 GIA Diamond Grading Reports are not issued for diamond synthetics, diamond simulants, mounted diamonds or those that have undergone unstable treatments, such as fracture filling or coating. And while reports may be issued for diamonds that have been laser drilled or HPHT processed, reports will indicate that the diamond has been treated. A GIA Diamond Grading Report includes an assessment of the 4Cs – Color, Clarity, Cut and Carat Weight – along with a plotted diagram of its clarity characteristics and a graphic representation of the diamond’s proportions. The report also includes the official GIA grading scales for Color, Clarity and Cut as reference tools. 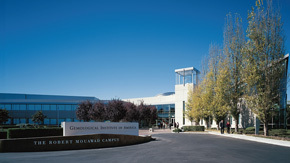 The GIA laboratory issues the Diamond Dossier for loose, natural diamonds between 0.15 and 1.99 carats, in the D-to-Z color range. The Diamond Dossier is not issued for synthetics, simulants, mounted diamonds, diamonds that have undergone unstable treatments such as fracture filling or coating, or those that have been HPHT processed. Any evidence of other treatment is disclosed in the report. 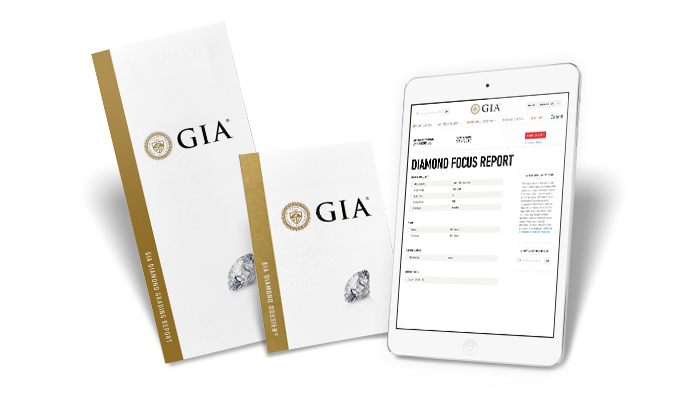 Also available are the GIA Diamond eReport and the GIA Diamond Focus Report™, online only reports including full 4Cs grading results. 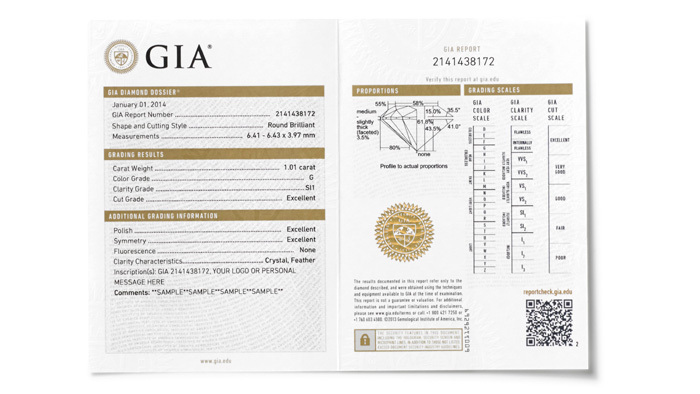 The GIA Diamond Dossier® includes an assessment of the 4Cs – Color, Clarity, Cut and Carat Weight – plus a microscopic laser inscription of the GIA report number for easy identification in a smaller format. 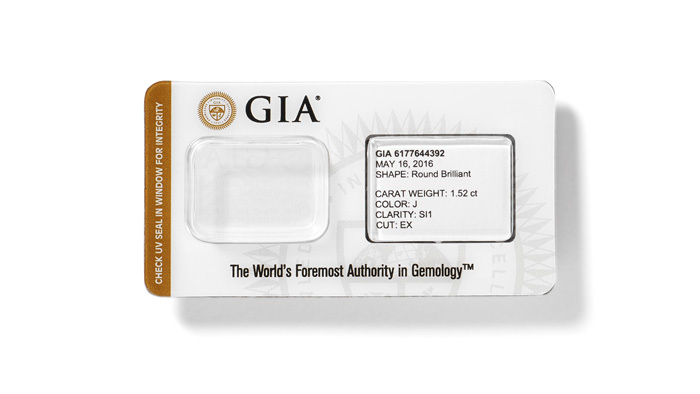 The GIA Diamond Sealing Service seals an unmounted diamond and its key grading details in secure, tamper-resistant packaging. 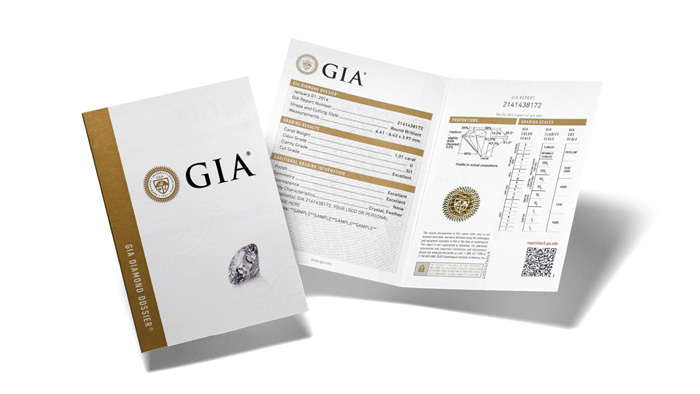 This service is available for colored or D-to-Z diamonds and is accompanied by a GIA report service.